Finding the best luxury car is like trying to pick the best piece of birthday cake. They’re all going to be very good, but some are loaded down with frosting and are extremely sweet. Those are typically the pieces that disappear from the cake first; the same can be said for luxury cars. Who wants half a piece of birthday cake? That’s right, nobody. If you’re going to treat yourself, you’re going to want the frosting. If you’re beginning to salivate, you’re either extremely hungry for cake, or you’re thinking of heated leather seats, navigation systems, and a smooth, quiet ride that is short on neither power nor comfort. 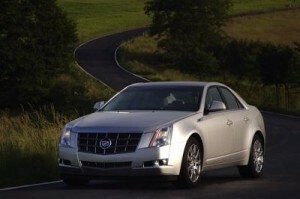 If your reason for salivation is the latter, check out what the top researchers at Car and Driver, Consumer Reports, Edmunds, and Motor Trend say are the best luxury cars of 2011. If you need a vehicle that is not only luxurious, but fun to play with as well, then you definitely want the 2011 Acura RL equipped with the Technology package. Not only will you already have Bluetooth, voice command, satellite radio, and a 10-speaker Bose surround-sound audio system, you’ll be adding a backup camera, upgraded Bluetooth, GPS-linked solar-sensing climate control, real-time traffic, weather, Zagat restaurant listings, and the Collision Mitigation Braking System. It is all situated in a beautifully attractive cabin that rolls along with a nice balance of ride quality and handling. Even though it’s decked out in chrome trim, faux suede seats, and high-gloss materials, it’s hard not to picture the CTS-V roaring around a motor speedway covered in dust and screaming like a teething baby. It is remarkably fast for a luxury vehicle. It’s powered by a supercharged 6.2L V8 engine that sends an eye-popping 556 horsepower and 551 lb-ft. of torque through a six-speed manual or a six-speed automatic transmission with shift buttons mounted on the steering wheel as an option. The standard Magnetic Ride Control suspension does a nice job of balancing handling and body roll. It’s a bit of an oxymoron, but consider the Genesis the best economical option in a luxury class. Not because of its quality, but because of its price. You cannot truly appreciate the value of the Genesis until you drive it. “If it weren’t for the sweeping ‘H’ logo on the steering wheel of the Genesis, we’re convinced that most drivers would think they were driving a Lexus. This is especially true for 4.6 or fully loaded 3.8 models, as they offer a full complement of modern conveniences and top-notch interior materials. Even the crisp, bright electroluminescent gauges have a Lexus-like appearance.” (www.edmunds.com) The seats are well padded and comfortable in both front and back. 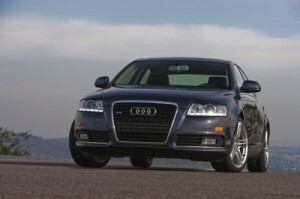 If it hasn’t claimed the top spot by now, the Audi A6 is definitely one of the top three cars on the road today. One would have a difficult time finding an area where this luxury model doesn’t meet the mark. Even Audi’s Multi-Media Interface (MMI), which controls standard navigation functions, entertainment, and Bluetooth communication functions via a dashboard-mounted LCD display, is one of the easier versions to use, offering increased functionality and crisper graphics. The power, cargo capacity, comfort, and driving dynamics are all on par with the MMI in the A6, making it the best all-around luxury car.